Since we do not see great layers of strata being formed rapidly today, evolutionists theorize that the great layers of fossil bearing rock (up to 15 miles deep in some places) that are observed in the earth today (such as in the Grand Canyon) must have been laid down over millions of years. If this is true we should be able to see creatures on the bottoms of lakes and rivers today waiting to get covered with silt over long periods of time. This we do not see! Even under water and in soil, there are small microbes and other creatures that eat away not only the soft tissue but the bones as well. Besides this, water itself contains oxygen that promotes decay. 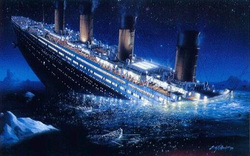 When the Titanic sank in 1912 there were over 1000 bodies that were not recovered from the ship. Only 70 years later, when the Titanic was found and explored not a single one bone could be found of the deceased. They had all disintegrated with no remains to be found other than the boots and other accessories of their owners. So how could any bones much less complete carcasses with flesh survive the millions of years needed according to evolutionist to create the complex fossils we see today that show even feather, scales, and much more? 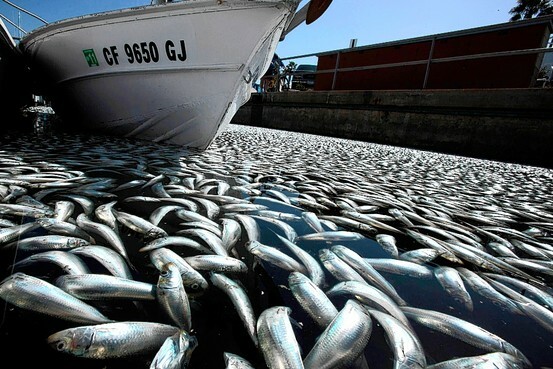 Simply put corpses float in water, even fish corpses. Floating the carcasses are subject to bacterial decay and scavengers making detailed fossils showing even the scales and gills impossible. 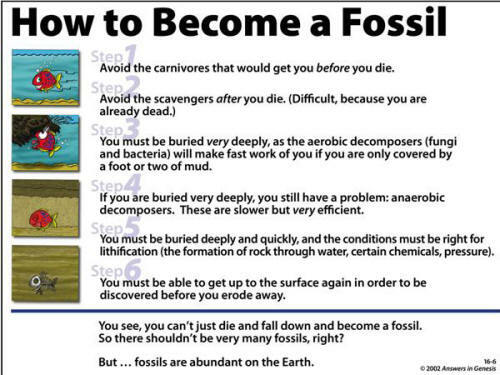 Under this circumstance how can fossils even be formed unless by some means of rapid entombment by thousands of tons of sediments coming down trapping them. Instead of fossilized fish being testament to millions of years, they rather testify to a global, entombing flood consistent with Noah's Biblical flood. The deeper you go under the sea, the greater the pressure from the weigh of the water pushing down upon you. "For every 33 feet (10.06 meters) you go down, the pressure increases by 14.5 psi (1 bar). In the deepest ocean, the pressure is equivalent to the weight of an elephant balanced on a postage stamp, or the equivalent of one person trying to support 50 jumbo jets!" The Marianas Trench is the deepest part of the ocean 6.831 mi (36,069 ± 131 ft) and it has been measured to be 15,750 pounds per square inch(psi). This incredible fossil of an ichthyosaur, buried and fossilised while giving brith, is clear evidence of its having been buried quickly by water-borne sediments. The fossil record is consistent with creatures having been buried suddenly, otherwise this must have been a extremely slow birth. 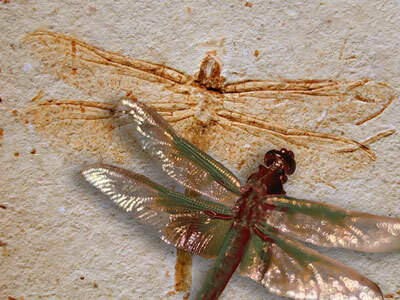 A newly described fossil consists of a flying reptile with a smaller fish in its throat and a larger fish biting its wing. Can you imagine these 3 creatures struggling for millions of years while the sediments built up around them and then crushed them into stone? Fish in Long Fish. In the belly of the above 14-foot-long fish is a smaller fish, presumably the big fish’s breakfast. 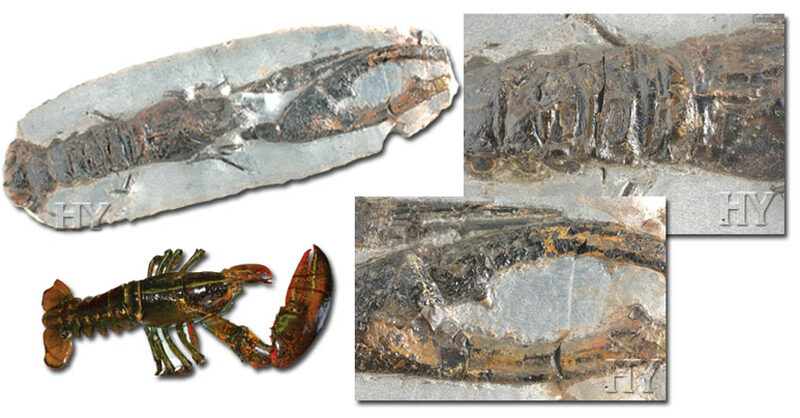 Because digestion is rapid (when compared to death), fossilization must have been even more so. 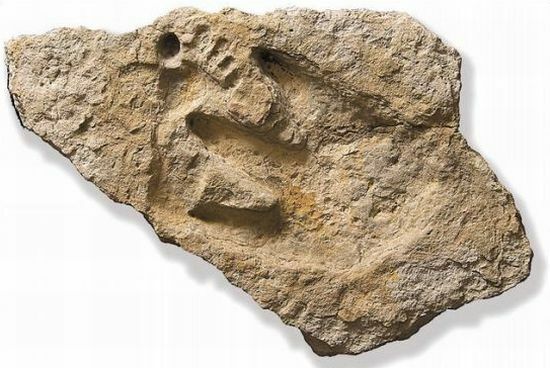 According to evolutionist, homo sapiens didn't appear until 200,000 year ago but fossils were created anywhere from 3.5 billion to 600 million year ago? Diplomystus dentatus with Knightia still in its mouth. If fossilization occurs slowly these two creatures should have drifted apart over time and become two separate fossils. Last I checked the Wild West wasn't millions of years ago. 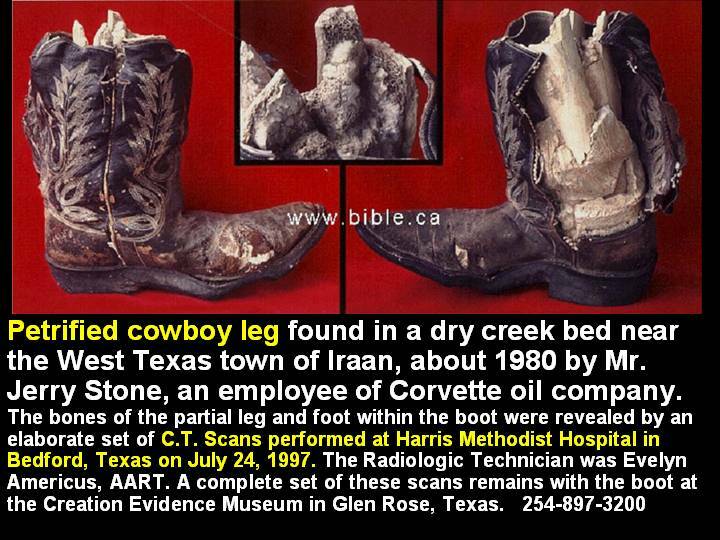 Yet, here we have a fossilized human foot within a cowboy boot here. 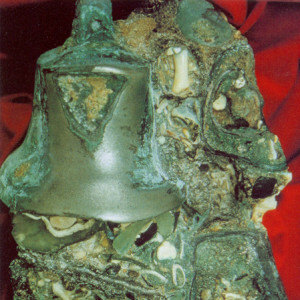 Bells in solid rock. In 1852, the Isabella Watson, a wooden ship, sunk off the coast of Victoria, Australia. The bells from the ship were discovered in the 1990’s and currently belong to the Maritime Archaeological Unit of Heritage, Victoria. As you can see, the bells were partially surrounded by solid rock, which could only have formed in less than 150 years, not millions of years. 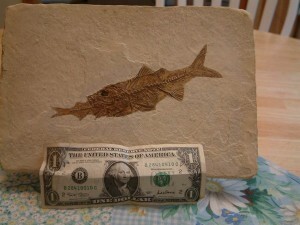 There is no differences between the fossil record supposedly millions and millions of years ago and the current animal. How can evolution explain no changes or adaptation over supposed millions of years? Instead we see all animals appearing suddenly with no signs of gradual changes over lengthy time periods suggesting all being were created supernaturally just as the Bible states. 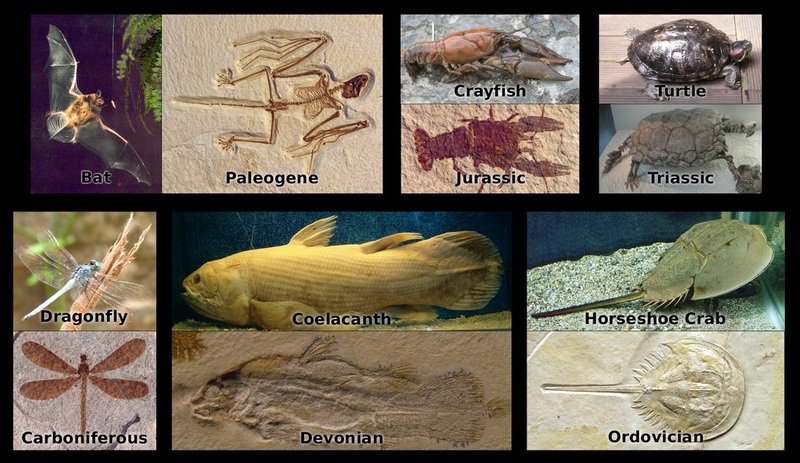 Facts show clearly that each animal remains completely UNCHANGED from fossils to what they are in present day. No transitions, no differences, and no evolution whatsoever. 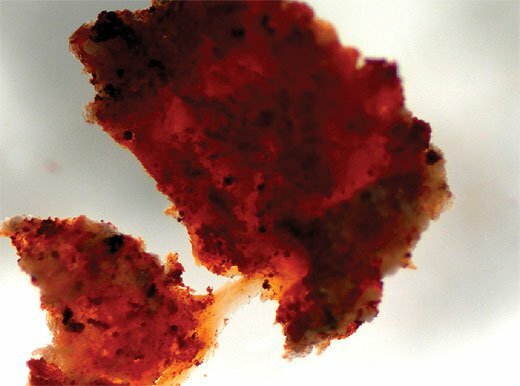 Red blood cells and hemoglobin have been found in some (unfossilized!) dinosaur bone. But these could not last more than a few thousand years—certainly not the 65 million years from when evolutionists think the last dinosaur lived. 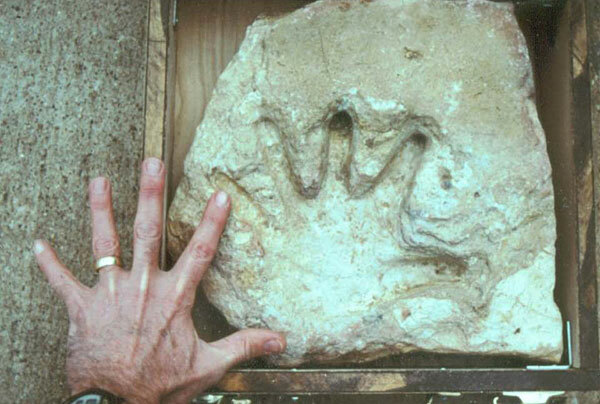 Many such fossils with human and dinosaur footprints have been found many in the southern United States. According to evolutionist man and dinosaurs missed each other by a couple hundred million years. Why then are they showing up in the same sedimentary layer? The Bible offers an answer. 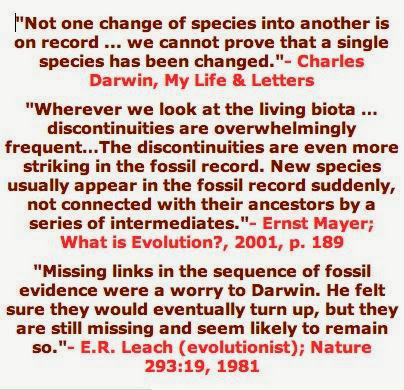 The evidence is overwhelming that fossils do not take millions of years to create. In order for them to show the organic details they do the entombment must be instanteous and immediately subject thousands of pounds of pressure only possible with thousands of feet of water. This is all in perfect agreement with a global flood as recorded within the pages of the Bible. If the Bible is proven correct by the fossil formations, shall not we believe the Bible when it tells us only way to God & Heaven is through God's son Christ Jesus? Won't you believe in the Bible which says you can accept God's free gift of salvation? Its far better than believing science who has no idea where you came from and no idea how old the earth really us, nor why any of us are even here. Instead believe in the one true God of Israel who was there in the beginning and created the heavens and the earth and all the animals that have been preserved in stone for all people to see. They are a testiment to this God's awesome power. Won't you believe in Jesus today by praying this prayer?